Luxembourg has no longer been a tax haven for the nouveau rich or a dwarf state for quite some time. The President of the European Commission is currently from the Grand Duchy with its only 115,000 citizens and also has one of the most vital jazz scenes in Europe. 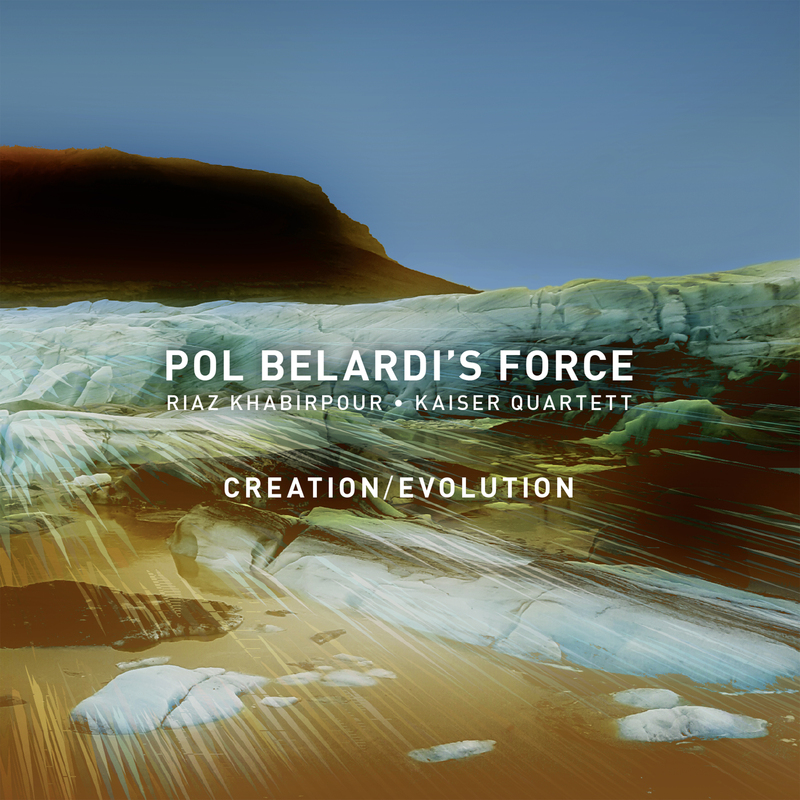 The multi-instrumentalist Pol Belardi plays a major role in this and also attracts international attention to the amazingly creative biotope that has developed there in the triangle between Germany, FRance and Belgium over the past 15 years. Belardi is representative of his fellow countrymen without any musical blinkers and his curious interest in all styles and influences, with which he was more or less predestined to see beyond his own horizon. The fact that the 17 year-old electric bass player, who can also play piano, vibraphone and drums, also applies this attitude to jazz helps this genre to develop a fresh, modern, international and future-oriented perspective, especially in times of increasing self-confinement and withdrawing into a shell. Actually Pol Belardi, David Fettman, Jérôme Klein and Niels Engel should in no way produce a jazz album in the classic sense given their seemingly diametric interests. The four advance with such wide-open ears through the world that you could expect all sorts of things. Their listening interest starts at the most with classic jazz, but extends to classical music and has at least elements of pop, rock, hip hop and electronic music on an equal basis. However, the fact that 'Creation/Evolution is so close to experimental, modern jazz is still surprising. The pieces are charged in a concentrated manner, supposedly quiet and not at all extroverted on a subliminal, tingling level that breatehs the great psirit of jazz through every note with its improvisational daring. The typical Luxembourg cosmopolitanism outlook characterizes the ten characteristic original pieces, which Belardi naturally also adapts to his complex arrangements. Scents of the great composers of classical music shine through as well as the lyrical touch of a singer-songwriter, the groove of funk, the infectious virus of catchy pop hits and the xperimental breadth of experiemental avant-garde and create a delightful contrast in every respect. As guests, the guitarist Riaz Khabirpour and the Kaiser Quartet juggling with elegant virtuosity between late romanticism and contemporary music refine the colorful range of sounds. And the best thing is: a whole range of presentation options exist life for the new program, either with the Kaiser string players, the guitarist Khabirpour of just pure Force. recommend it as a substantial offering, perhaps more modern contemporary than avant garde, but such distinctions are not important if the music is worthy. It is! Listen."